Story by Chris Scafario and photography by Michael Mauro Originally published on Petrolicious.com August 2015. I was 11 years old, and it was Christmas Morning. The year was 1988, and my father had just given me a book called The World of Sports Cars. There were so many beautiful cars to learn about, but when I got to the M section and saw a car called the Marcos GT—designed and manufactured by the Wiltshire, England-based Marcos Engineering Group—it was love at first sight. Fast forward to 2004, and I found and purchased a driver quality GT that was part of a collection of vintage exotics housed less than 10 miles away from my then home in Philadelphia, PA. Little did I know that at the time it was to be a short-lived romance. Less than a year later, life brought me to Manhattan, and I sold that Marcos and my daily driver to get a 996 Porsche 911 as a weekend car. With so few GTs in the States, I just assumed that was the end of my Marcos experience. Nearly 10 years past, and the memories of my first Marcos stuck with me. Then one night, a random query on searchtempest.com brought me to a photo-less ad for a 1970 Marcos GT on Craigslist in Long Island. Upon exchanging a few cryptic emails with a retired advertising executive that had owned the Marcos since 1982, I ended up making the drive to Sag Harbor, NY on the tail end of a business trip that was hundreds of miles away from my home in New Jersey. I arrived late in the late afternoon, bought the car on the spot, and had it transported that night. It was a day I will not soon forget. When you make up your mind that you want a Marcos you are almost obligated to buy whatever car comes up first. It could literally be years before you find another one for sale in North America. Ultimately, I knew I needed to own another Marcos based on the exceptional experience I had with my first GT, and because I was so enamored with the brand’s engineering and racing heritage. In my mind, it is like the Marcos is the great sporting GT that time forgot. During the brand’s heyday, celebrities like Rod Stewart and champion drivers like Sir Jackie Stewart and Derek Bell drove and campaigned their cars across Europe. On the track, their iconic performance made them known as the “Mighty Marcos,” and to this day, the cars are incredibly competitive at vintage racing events the world over. In other words: who wouldn’t want one? My car is Marcos GT chassis #3v5640. It was built in 1969 as a 1970 car. The Marcos GT series was first introduced in 1963 at the London Racing Car Show as a road car, and was met with considerable acclaim. Brothers Dennis and Peter Adams helped form the timeless shape of the 43-inch tall GT, and its initial variation included a wood monocoque chassis, adjustable pedals, and De Dion rear suspension. Total Marcos production runs can be measured in the mere hundreds, with my example being the ultra-rare (fewer than 50 in all) U.S. spec, tubular steel space frame cars powered by a 3-liter Volvo Inline 6-cylinder. According to the massive history file that documents my car’s background, tariff complications and confusion about changing federalization requirements held my Marcos and several other GTs in British customs for years. More than five (!! -Ed.) years after its initial build, it appears that my car was sold to an Englishmen who painted the GT red and used it as a grand tourer with some slight engine performance upgrades being done at the time of its initial respray. In 1981, a New Yorker spotted the car while traveling in England and somehow tracked down its first owner. Over the course of a series of letters and phone calls, he persuaded them original owner to sell their car and ship it to the Port of Newark, NJ. Just one year later, the first American owner fell on hard times financially and sold it via a Road & Track ad to a fellow New Yorker and British car collector. The Marcos GT’s 2nd American owner kept the car from 1982 until 2013, when I purchased the car with 19,000 documented original miles. I bought the car in August and enjoyed it as a bit of a time capsule, until October 2013 when I took a leap of faith and shipped it to Wimauma Florida where it underwent a 15 month, frame off, nut and bolt restoration by renowned Marcos expert Larry Meadows. During its restoration, the car was returned to a slight variation on its original color and it went through a transmission conversion from its original Borg Warner B35 Automatic to a 4spd manual Volvo transmission with electronic overdrive. While apart, numerous handling, aesthetic, and high-performance upgrades were made, with careful attention to period correctness. Today, the car is as comfortable winning shows as it is participating in local rallies—and it is an absolute blast to drive! The car wants to go fast and even faster around corners. It sounds angry, grips like a modern super car, and it looks like a ’60s-era concept for the car of the future. 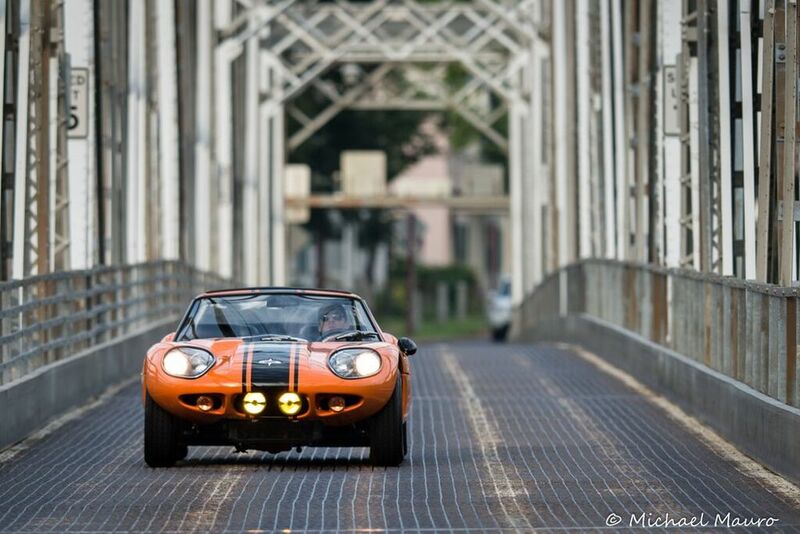 Its power to weight ratio, handling, and overall feel on the road turns any drive in a Marcos GT into an adventure. The seating position is absolutely unique to the car. 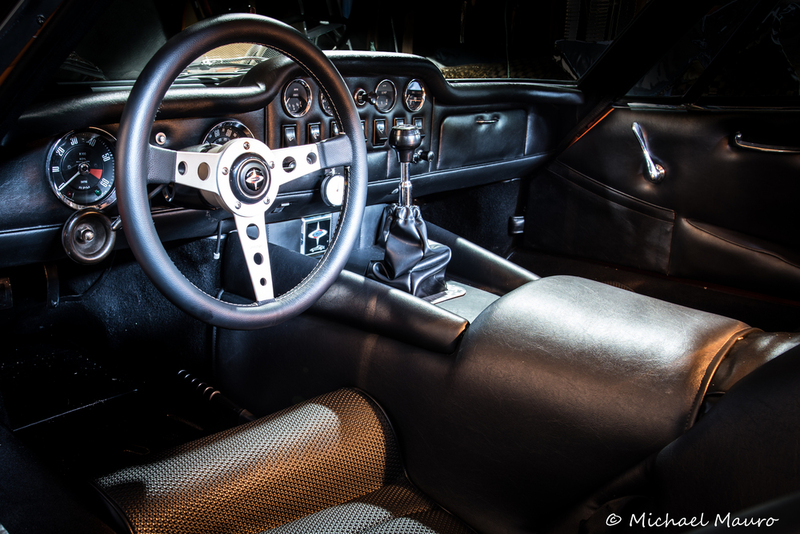 The seats themselves are fixed, and the pedals adjust to meet the needs of the driver, the shifter sits high on the interior transmission tunnel and enables shifts to flow smoothly, almost as though they were a part of a telekinetic parlor trick. If that’s not enough, at just 43 inches tall, you basically sit eye level with a lot of SUV rims and tires…which is a very unique experience the first time you hit the Interstate. Once you are used to the unique interior configuration, it becomes almost zen-like, as if you are wearing the car as a second skin, and the connection between driver and cockpit is easily traced back to an aeronautical design linage. The history behind the marque is so damned impressive that I feel like it connects me with some of the great sports racing cars that I admire most—but might never be able to own. For instance, the Marcos name derives from the surnames of founders Jem Marsh and Frank Costin. Prior to co-founding Marcos Engineering, Jem Marsh, the Mar of Marcos, was a promising race driver and engineer specializing in the design and development of high performance components for the Austin 7s that were a major part of Britain’s post war racing scene. Frank Constin, of the cos in Marcos, was a master in the creation of rigid, aerodynamically advanced, lightweight structures, and a pioneer in the development of monocoque chassis design. Preceding his partnership with Marsh, Constin put his creative genius to work on the development of England’s celebrated; marine plywood-based Mosquito Bomber during World War II. And, immediately following the war, Constin went onto help draft racing icons that included: Maserati’s fabled Tipo 61 “Bird Cage” Le Mans Cars, the legendary Lister Jaguars, and a host of Lotus designs that included the beloved Mark VIII. In many ways , I believe the Marcos GT is a car that represents the collaboration of great minds coming together to pursue game changing innovations in automotive form and function. The styling of the Marcos GT, though controversial, is essentially enduring, and its driving characteristics and rarity make owning the car an addictive experience. 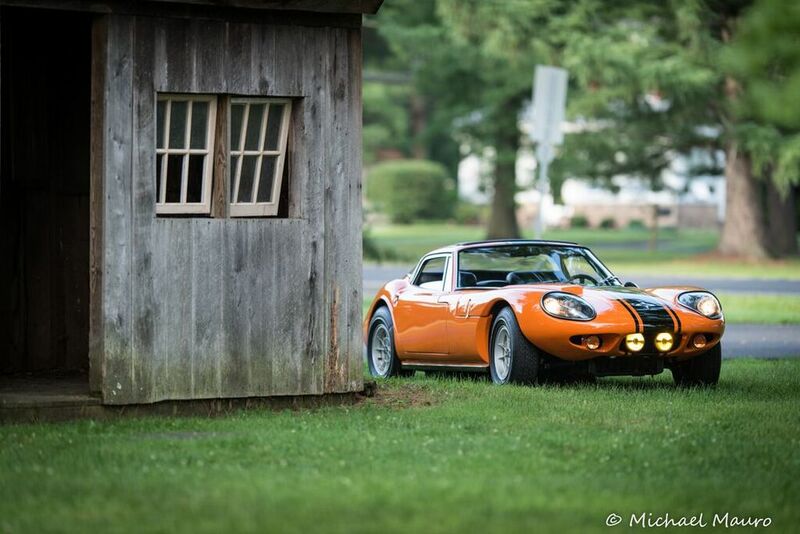 But what I love most about my Marcos GT it is that it is a realization of my boyhood automotive dreams. I traveled for years with a mental perception of how my “Mighty Marcos” would look, sound and drive. With the help of Marcos Heritage Spares in the UK, an open checkbook, and my now good friend Larry Meadows, a rather audacious vision has been seen through and the car will be a part of me for years to come. Three years ago, I started a group called High Octane South Jersey with some friends. We meet at 8:30 every Saturday morning for Cars & Coffee at 550 Fellowship Road in Mt. Laurel NJ 08054. Each week, people from all walks of life come together to share in the hobby and learn about each other’s cars; since our beginning, we have made it our mission to put our hobby to work supporting the needs of our local community. Our capstone effort is called the “Santa Claus Rally” and it is held to support the Pediatric Unit at Deborah Heart and Lung Center and local families who have fallen on hard times. The event is the culmination of months’ worth of work collecting toys from drop boxes at local business and during our regular meets. The run features a spirited back woods drive followed by the mayor of Browns Mills, NJ welcoming us and hosting a procession through the town and into the hospital’s parking lot, where the local townspeople welcome us, and we present our stash of toys to Mr & Mrs Santa Claus. Our first year brought out about 30 cars, and we collected 500 or so toys, and in our second year we had 100+ cars and roughly 2,000 toys to contribute. This year, we would like to invite the entire Petrolicious community to share in the celebration as we shoot for 200 cars and 3,000 toys! To follow our progress or learn more, like us on Facebook or visit www.highoctanesj.com.